Sampling is one of the most effective ways to ensure that your product gets into the hands of potential consumers. Although sampling can be a great way to gain product exposure, it must be done strategically. Through a brand ambassador program, brands can leverage their ambassadors to host product sampling events on campus, specifically targeting key potential consumers within the collegiate market. Sampling events are typically straightforward—you distribute samples, students sample the product, and students (hopefully) convert. What turns sampling into conversion within the collegiate market, is relevance. Relevance can be created by activating and creating a theme for your product sampling event around key collegiate moments, including back-to-school, Spring Break, or graduation. For example, a cosmetics company with a wide range of bronzing and body products may want to host a sampling event pre-Spring Break. 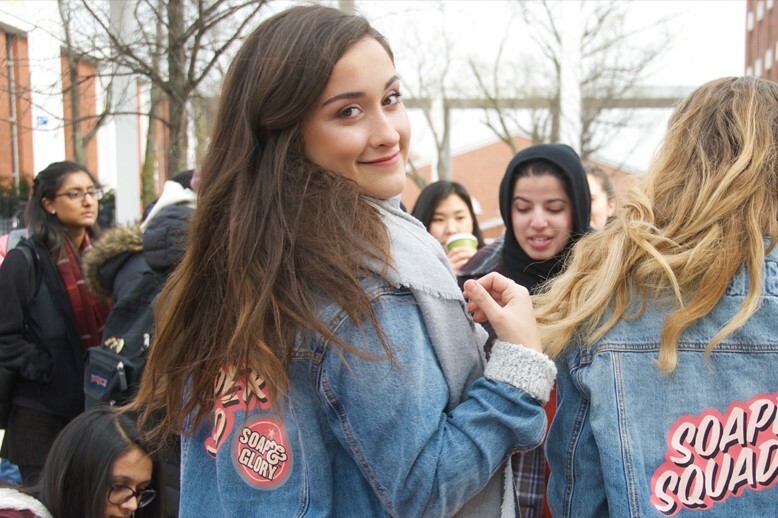 By hosting the event pre-Spring Break, students will have the opportunity to sample the brand’s relevant warm-weather products such as bronzers, self-tanners, and moisturizers. The event’s proximity to Spring Break will help keep the brand top-of-mind while students are making their travel skincare and makeup purchasing decisions. This may sound obvious, but sampling events should always distribute sample size products. Some brands opt to distribute full-sized products in the hopes of building deeper brand loyalty, however this strategy can ultimately hurt sales. By distributing full-sized product, students are are less likely to head in-store and purchase—and why would they? They already own it! In addition, selecting sample size products that fit into your event’s theme increases brand relevance and purchase consideration. Going back to the Spring Break example, distributing TSA-approved samples indicates to students that your travel-sized line is perfect for Spring Break. Through the use of various digital platforms, brands are able to track the success of their sampling events. Coupons are a great way to incentivize students to purchase full-sized product. When creating a coupon, it’s important to make redemptions trackable and unique to your specific program or event. In addition, you’ll want to make sure that the coupon is incentivizing enough—at least a 20% discount—and that it doesn’t compete with any better online or in-store promotions. Most often, the best indicator of event success will be the sales generated. If you had an event at American University, check to see if there was a sales lift at nearby stores. By tracking the sales of your event, you will be able to determine if your sampling strategy was successful, or if not, how you can change you strategy to ensure future success. Students love samples and are typically willing to give personal information in exchange! If your goal is to collect more emails for future email marketing campaigns, an online sweepstakes is an easy way to organically collect those emails. Simply encourage students to sign-up for the sweepstakes in order to gain a sample. Alternately, if your brand is looking to increase their following on social media, implement a “Follow for a Sample” exchange. Both acquisitional tactics have proven successful at sampling events and will provide your brand added value. Keep in mind that each campus you activate on is different! The best way to ensure that your event location and timing works for each unique campus is to ask students or have your brand ambassadors inform your decision. The ambassadors know what days and times are busiest on campus and which locations harbor the most student traffic. Work with your ambassadors to secure the event location and time at least two weeks prior to the event. The last piece to consider? Hire passionate brand ambassadors and your sampling event will practically run itself! Want to get your product into the hands of Millennials and Gen-Z? Finding the right partner is key to your success. Here at YMC, we’ve been helping brands connect with 15- to 29-year-old consumers for two decades—we’d be happy to share our wealth of knowledge with you. Contact us today!